The name says it all. This is a cloth diaper that resembles a disposable diaper the closest. You literally put it on baby, baby wets diaper, you take diaper off and throw it in the diaper pail. This diaper has the absorbency sewn to the waterproofing, so no extra steps are required. This diaper is available in velcro (like a disposable) or snaps. The one downside to all in ones is they are usually more expensive and take longer to dry because the absorbency is sewn together with the waterproofing. This means it is a one-size-fits-all. Typically diapers will say they fit from 8-35lbs, or 10-35lbs, as GroVia says. I did not try this diaper on a newborn, but I do have a good friend or had her teeny baby in a GroVia AIO OS pretty early on, maybe I could beg her for a picture! I have one GroVia AIO OS in my stash. It is in Owls print and in snaps (they only have snaps in the AIO). The outside is literally a waterproofing material called TPU (thermoplastic polyurethane), and seems to be a bit softer and smoother than PUL materials that most diapers are made with. I think this print is absolutely adorable, and I really loved all of their old prints (I don't care much for the newest ones, but I know tons of people love them!). So, if you can find this diaper in their old prints, it is the EXACT same version as the new one, just with the older style prints (and it will be way discounted!!). 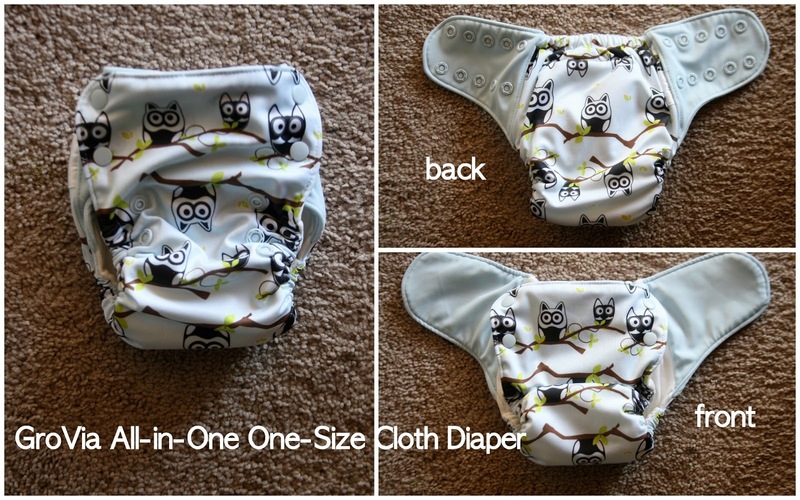 The front of the diaper has a snap-down rise to adjust the length for babies 10 lbs - 35+ lbs. The elastic on the legs as well as the back is encased elastic, and has never left a red mark on my chunky-thighed one year old daughter. 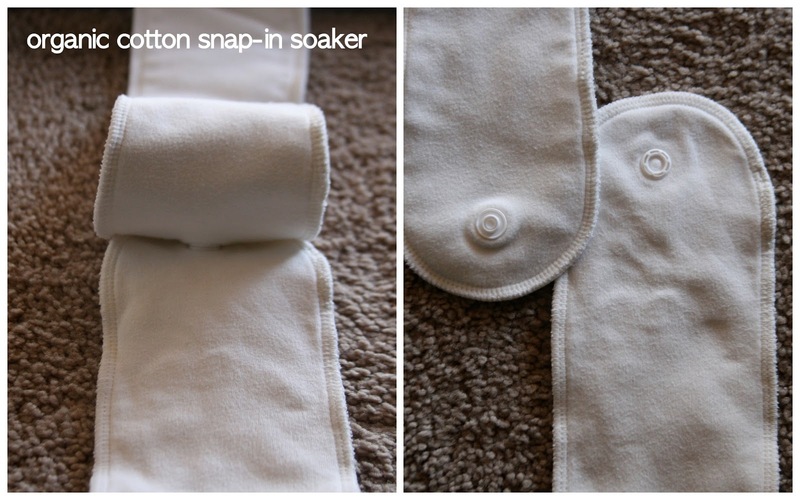 The inside is made with 100% buttery soft organic cotton and has a snap in soaker. The organic cotton is sewn in on one side of the diaper, so this helps with drying time as it's not all sewn down together. I snap in the soaker after washing and line-drying, and then just lay the sewn in soaker inside of the diaper, and it's ready to be used! The absorbency in this diaper is really great, and I love that it is a natural (organic) fiber touching my baby's skin.I've also done a video (below!) 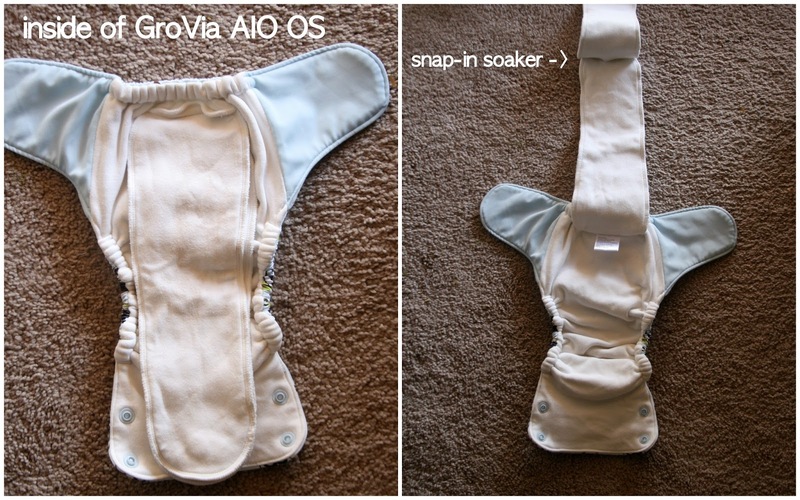 showing the difference between the GroVia Newborn AIO and the One-Size AIO. I have yet to use the NB one, not until I have another babe!, so I don't have an actual review on that. I just thought I'd show you what they look like side-by-side. takes longer to dry than pocket/shells/etc. I really love this diaper a lot. I wish I had more of them! The prints, the organic cotton, the faster drying than other AIO's (like the bumGenius Elemental), the quality - it's all so awesome. I highly recommend this one. Check out my video below to see even more of its details.